The entity in Mexico CGP FORTAPACK is formed to serve the Mexican, Central American and Caribbean markets. With extensive experience in the distribution of high performance and added value materials, CGP FORTAPACK has been offering quality service, technical support and development of logistics improvement projects for 12 years. At CGP FORTAPACK we offer you the necessary technical support to develop your efficiency projects through your logistic operations, by stabilizing your merchandise, eliminating reprocessing and providing important savings by reducing losses and damages of the merchandise. 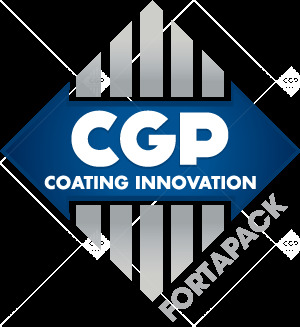 CGP FORTAPACK puts at your disposal a range of products in constant evolution to respond quickly and perfectly to your demands. 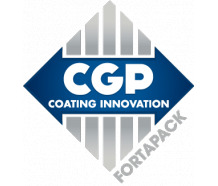 With the support of the CGP COATING INNOVATION group, completing 100 years of operation, CGP FORTAPACK strengthens its offer and puts it at your service. Our team, composed of 8 people, is totally focused on customer satisfaction. With our own warehouses in the North of Mexico and the sub-contracting of storage spaces, we take care to always be close to our customers, in order to provide an efficient and reliable logistics. In this way, CGP FORTAPACK covers the Mexican Republic, with a growing customer base and the development of new projects. We are also starting the expansion to Central America and the Caribbean. Focused mainly on the STABULON®, STABUMAX®, STABUFILM® and ECOLOGISTIK® logistics range, and with its ecological designs, a commercial association relationship with our customers is proposed, with a long-term scope thru the development of projects providing an efficient and sustainable service.